Visiting those recently uncovered roundhouse foundations reminded me of another structure I’ve been wanting to mention – for about six years. Better late than never. Here’s a photo taken in April 2006. 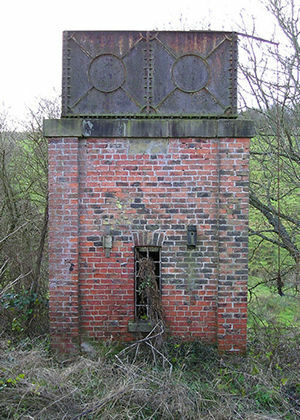 Railway enthusiasts will know about this significant structure already, but perhaps the significance of it isn’t generally appreciated. It’s an old water tank, on top of a brick building, with another workshop building adjoining. It’s near the Railway Institute buildings, off Queen Street, not far from the present railway station, or the previous railway station. But it is a reminder of our very first – temporary – railway station. 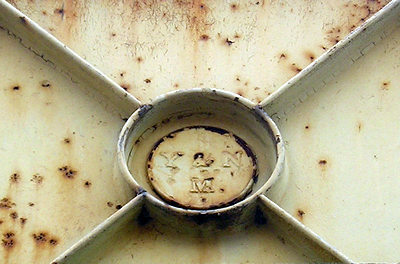 It also mentions the surviving inscribed plate. 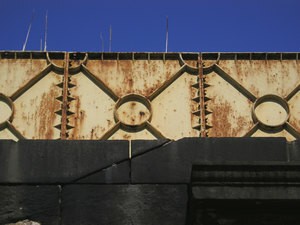 (I hope it still survives in situ – this photo dates from 2007.) Y&NM is of course ‘York and North Midland Railway’. The very clear and helpful information sheet given to visitors to the roundhouse excavation site included mention of another structure close by – the foundations of a straight shed which haven’t been unearthed, but are known to be near the excavation site. The straight shed, says the info sheet, was built in 1841 and ‘represents the earliest period of railway development at York’. 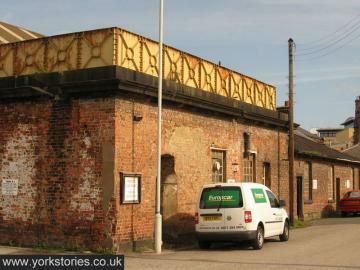 So does the water tank and associated workshop building, dating from 1839. Though it’s no longer used by passing steam trains, the tank still holds water, it seems, as in the summer months I’m sure I’ve seen bullrushes growing out of it. Miniature versions can be found, such as this one near the old Wharram-le-Street station. At Filey station (below) the brick-built structure which once supported a tank is still in situ, and a handsome thing it is, though its ‘tank top’ has gone. 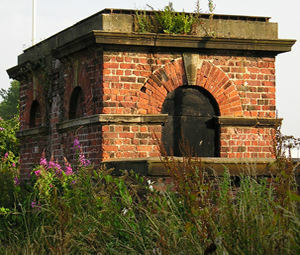 Detailed architectural information on the York structures (water tank and workshop building) is available via britishlistedbuildings.co.uk – (apparently using data/text from the official English Heritage listing also available at www.imagesofengland.org.uk). By Lisa @YorkStories • 30 April 2012 Rail, roads, rivers, Railways To link to this page's proper location please use the > permalink.